Your motorcycle helmet is the most important piece of safety gear you can wear to protect yourself while riding your motorcycle. While equipment such as leather jackets and boots are essential as well, in case of an accident, your helmet could possibly save your life. 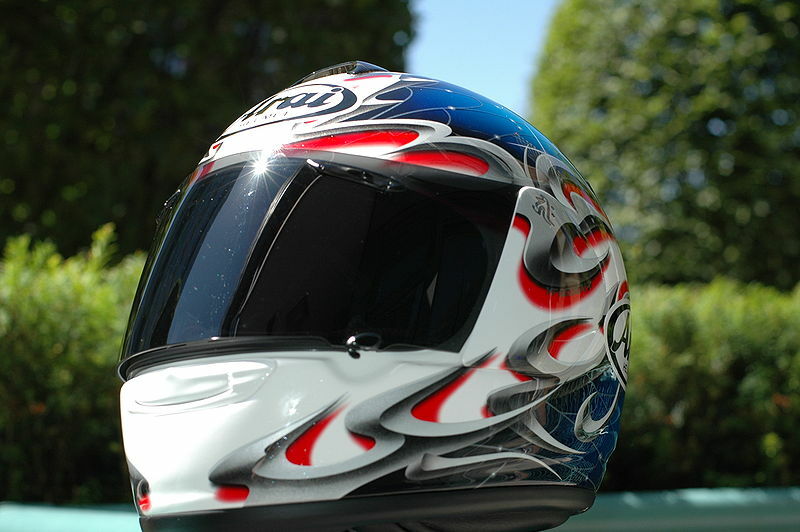 A helmet offers a protective barrier for your head should you become involved in an accident. This can come in the form of flying objects or even direct contact with the road or ground if you fall off of your bike. You never know what you may encounter during your travels, and it is best to be prepared. Motorcycle helmets are specially-designed to absorb most any force that is placed on them, which can protect your head from injuries. While wearing a helmet will not eliminate all risks of becoming injured, it will definitely reduce the amount of damage that your head could incur. Helmets can also significantly reduce wind from entering your ears and if you add a face shield, it will protect your face from such things as rain, sleet, cold air and bugs. In closing, just as seat belts help protect you while your are driving a car, motorcycle helmets and other protective gear help protect you while riding a motorcycle.